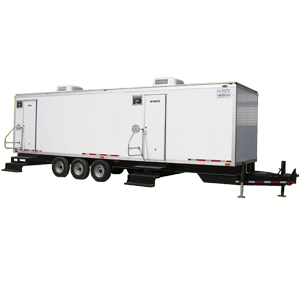 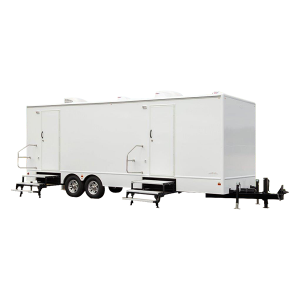 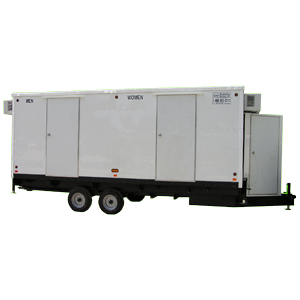 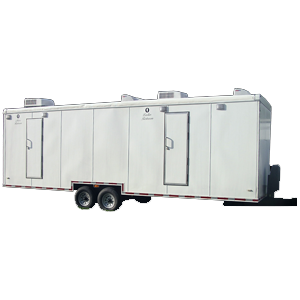 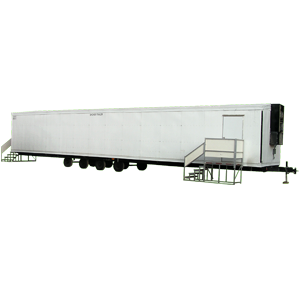 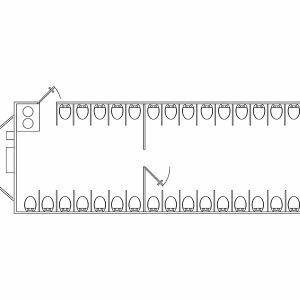 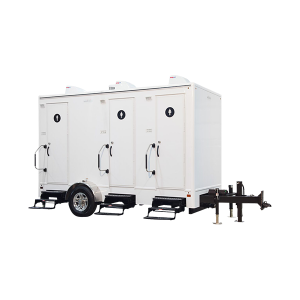 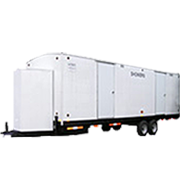 6-Stall Restroom Trailer – 24′ | Anderson Rentals, Inc. 6-Stall Restroom Trailer – 24′ – Anderson Rentals, Inc. 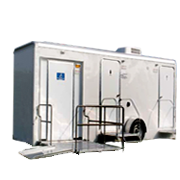 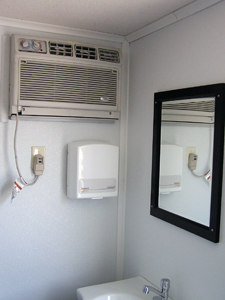 The 6-stall restroom trailer is the perfect solution for smaller job site projects, like bathroom remodels at local businesses. 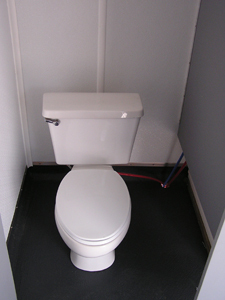 It can be used alone, or in addition to a portable handicap restroom for ADA compliance. 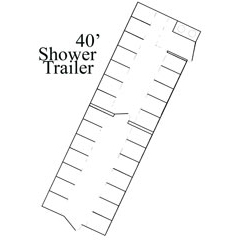 This restroom trailer comes divided with 3 men’s stalls (no urinal) and 3 women’s stalls. 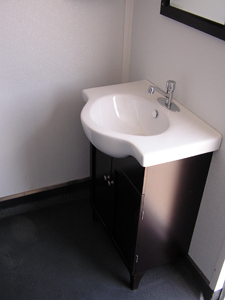 Each side comes with a mirror, sink, soap and paper towel dispenser(s). 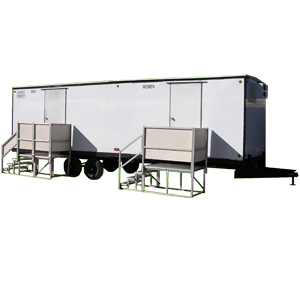 This trailer comes with a built-in waste water holding tank that requires a pump-out.